Maui’s Travaasa Hana resort has been named a Grand Award winner in the January issue of Andrew Harper’s Hideaway Report. 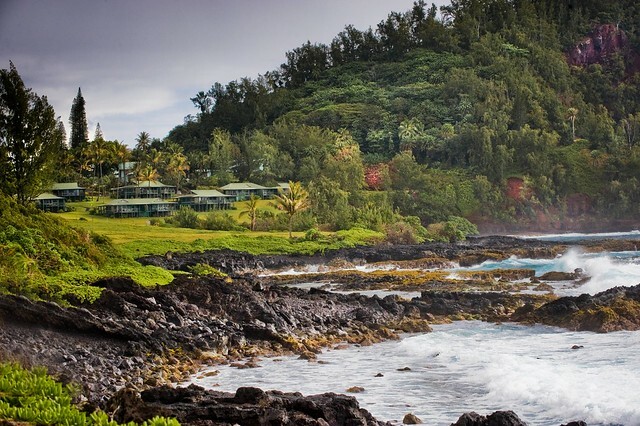 It is the only resort in Hawaii to make the short list and is one of only four hotels selected worldwide. “In a world not lacking in big, glitzy could-be-anywhere resorts, it is refreshing to find a place such as Travaasa Hana that embodies the genuine ethos of its location, that has never confused swank with true style and that always provides superior comfort, food and service,” said Andrew Harper, editor-in-chief of Andrew Harper’s Hideaway Report. Each year, Harper compiles the list of top hideaways from favorite properties he visited during the previous 12 months. To be considered for the annual awards, properties must be relatively small in size, possess strong individual personalities, offer relaxing atmospheres and demonstrate a consistent devotion to personal service. The Hideaway Report–which does not sell advertising space–selects hotels, resorts and restaurants for inclusion in the publication on a completely independent basis. Harper pays full rate for all meals, lodging and related travel expenses. He and his editors travel incognito in an effort to write candid and unbiased travel reviews for their subscription-based service, which provides personalized travel-planning assistance, bespoke tours and valuable travel privileges to its readers. The AAA Four Diamond Hotel also was rated the No. 1 boutique hotel and No. 1 hotel for a romantic getaway in the 2014 Hawaii Magazine Readers’ Choice Awards Poll, and voted No. 1 Hawaii hotel and No. 1 resort spa in Hawaii in the 2011 Condé Nast Traveler Readers’ Choice Awards Poll.